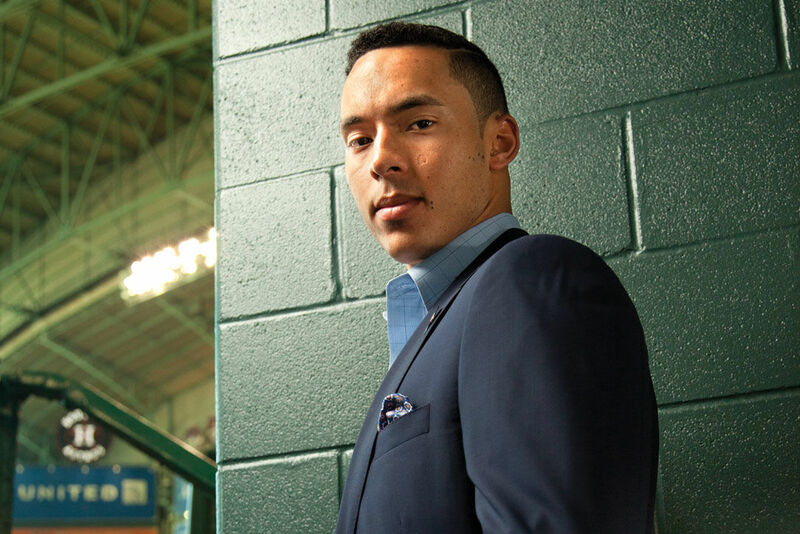 Carlos Correa has always hit for power, but this season his batting average has taken a jump—and his on-base percentage with it. Three years ago this month, as the Astros were in the midst of a long rebuild that had just seen them finish three consecutive seasons with fewer than 60 wins, including a 51-111 bottoming out in 2013, Sports Illustrated ran a cover story declaring the Astros the 2017 World Series champions. 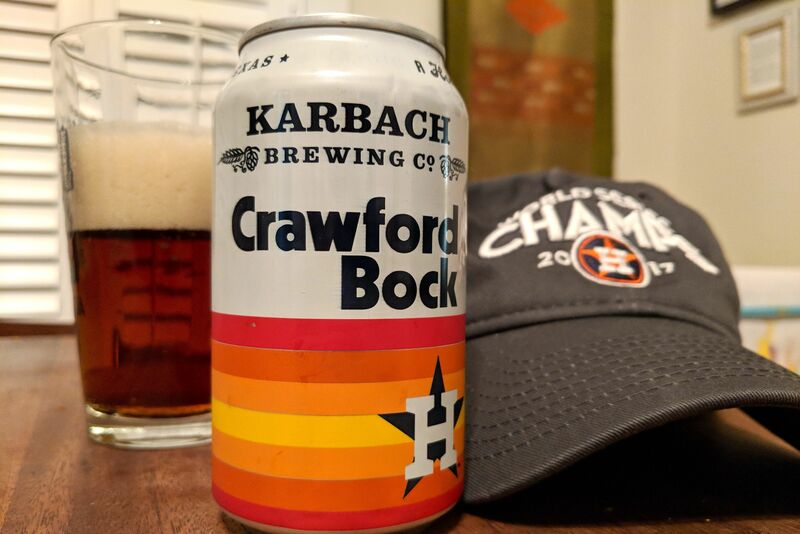 SI recognized that the Astros’ long fallow period was a result of general manager Jeff Luhnow having to clean out the mistakes of the previous regime, when Ed Wade gutted the team of prospects to trade for over-the-hill veterans who still couldn’t even get the team to .500. Luhnow realized it would take time to rebuild, and that there was no point in spending money on winning while the franchise waited for the farm system to develop—and, in fact, that losing would result in more and higher picks in the amateur draft, thus affording better opportunities to stock the franchise with top-level talent. And SI predicted that by 2017, that rebuilt farm system would have the major league team stocked with enough talent to legitimately contend. The SI cover was mocked at the time, but after the Astros increased their win total by 35 games in two seasons*, it began to seem prescient instead. The team unfortunately slid back from 86 to 84 wins last year, a combination of bad luck and injuries derailing the next step forward. 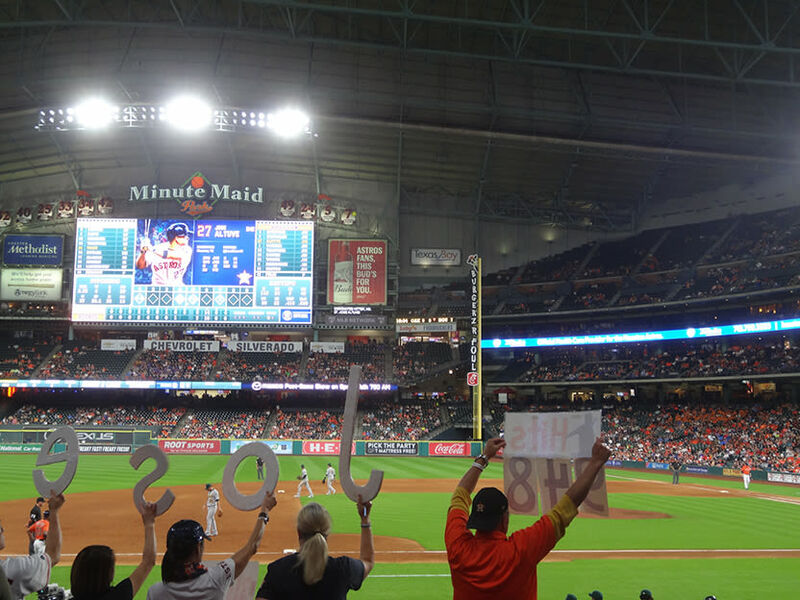 But with the team seemingly healthy again, spirits in Houston were high for the Astros becoming a contender again. But possibly no one, not even Sports Illustrated, thought they’d be this good. At the one-third mark of the season, the Astros sat at 38-16, placing them on pace to win 114 games, which would tie the 1998 New York Yankees for the third-best total in major league history. They were on a seven-game win streak at the time that continued to 11. After dropping two games to the Royals, at the time of this writing, the Astros sit at 42-18, with an astounding .700 win percentage. They’re 12 games ahead for the division lead, and they’re on pace to win 113 games. And even if they played .500 ball the rest of the way, they’d still finish 93-69. What’s astounding is how the Astros are doing it. While you’d expect any team this good to have some true stars—the Astros do, with three players who are arguably the best in the game at their position—they're also getting strong contributions from their entire lineup. It starts with those three stars up the middle, though. It was just announced today that starting pitcher Dallas Keuchel would be headed to the 10-day disabled list, but he’s been pitching like the best pitcher in baseball to this point, leading the majors in every significant category, from traditional metrics like wins (he’s 9-0) and ERA (his 1.67 mark is half a run better than second place), to more esoteric measurements like WHIP (walks and hits per inning pitched) and WAR (wins above replacement; he’s not No. 1 in all of baseball, but he is No. 1 among pitchers). Keuchel, the 2015 Cy Young winner, took a major step back last season (probably due to trying to pitch through shoulder soreness), but healthy again, he’s been even more dominant than he was in 2015. Behind him, the middle of the infield carries the Astros’s two best players. 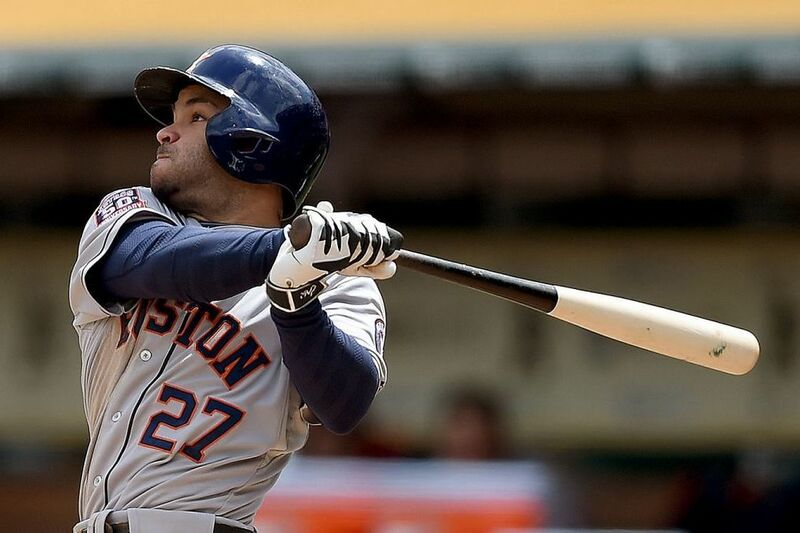 Second baseman José Altuve’s bat took another leap forward last year, when the four-time All-Star set personal bests in on-base percentage and slugging percentage, behind career highs in home runs and walks and an American League-leading .338 batting average. That leap was enough for Altuve to finish 3rd in AL MVP voting; his bat has shown no signs of slowing down this year, as he’s on pace for a virtually identical season. 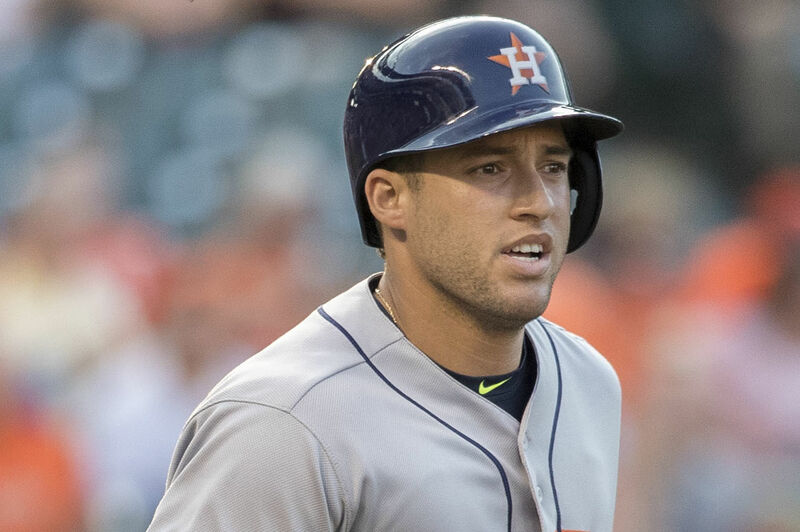 George Springer, a high draft pick developed by the team, is another cornerstone, with an OPS (on-base plus slugging percentage) of nearly .900 and a 2.2 WAR. Next to him, former No. 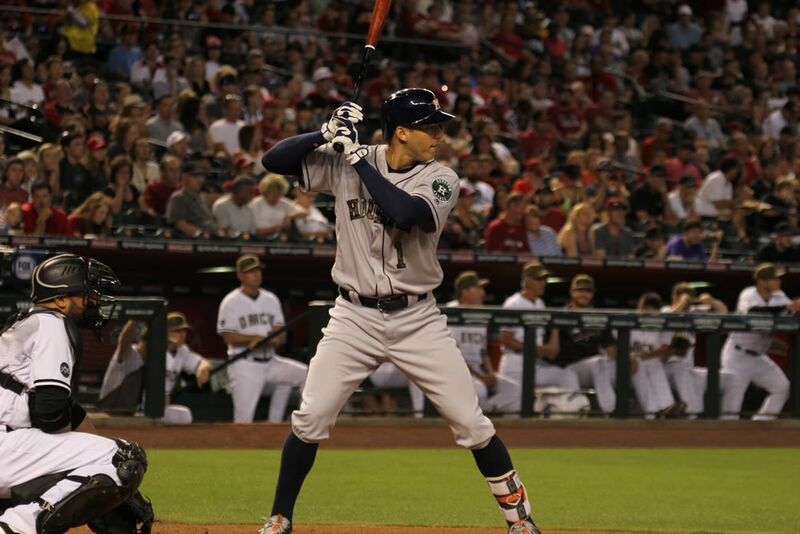 1 overall pick Carlos Correa is equally dominant at shortstop. Correa has always hit for power, but this season his batting average has taken a jump, and his on-base percentage with it. While the two aren’t the best overall hitters in the league, the fact that they hit so well at two of the game’s more difficult defensive positions puts them both in the top 10 of WAR among major league position players. It’s not just the present that’s exciting, it’s the future: Altuve just turned 27 and is in his prime, but Correa is not yet 23; the sky’s the limit for the team’s cornerstone shortstop. 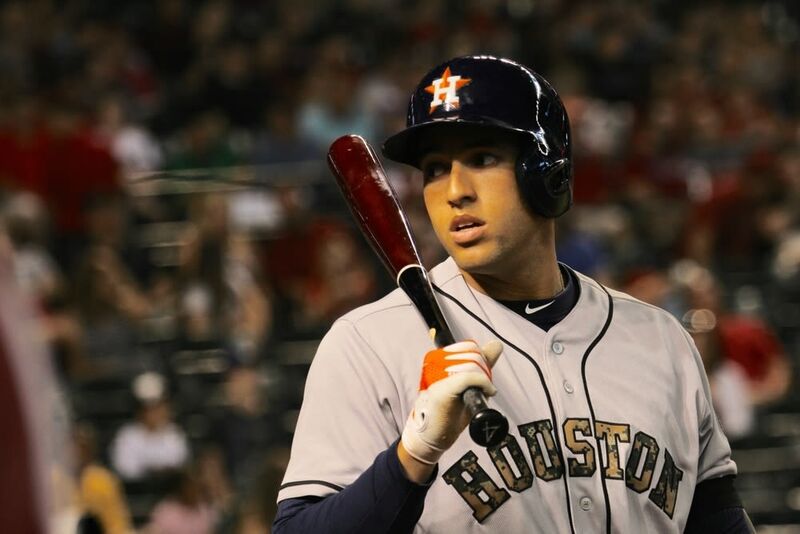 Right fielder George Springer, another high draft pick developed by the team, is an additional cornerstone, with an OPS (on-base plus slugging percentage) of nearly .900 and a 2.2 WAR at this point in the season. Eight of the Astros’s hitters have 0.9 WAR or higher; considering that 2 WAR in a full season is considered starter quality and the team is only one-third into their season, that means the Astros have eight players who rate as above-average starters, with Altuve and Correa rating as MVP candidates (and Springer and Marwin Gonzalez as potential All-Stars). And Lance McCullers has proven to be a high-quality No. 2 starter; after struggling with injuries in 2016 as well, he’s rebounded to pitch at nearly an All-Star level, a promising sign considering he’s not yet 24.
Credit goes to GM Jeff Luhnow for his long-term rebuilding strategy and owner Jim Crane for sticking with that plan through the team's most fallow period. Luhnow’s plan to rebuild through the draft has the team now stocked with a lot of young talent on cheap contracts, freeing them up to spend money in free agency on undervalued parts and players to round out the rest of the roster. With a handful of legitimate stars, a number of up-and-coming young players, and no weak spots, the Astros are currently playing like the best team in baseball, and there’s good reason to believe that they’re not only legitimate World Series contenders this year, but can continue to be at or near the top of the heap in baseball for some time to come.